Frank and Joe are on a case that really pops in this Hardy Brothers Secret Files Mystery. The Green Crawler is one of the coolest superheroes around, and Frank and Joe are some of his biggest fans. 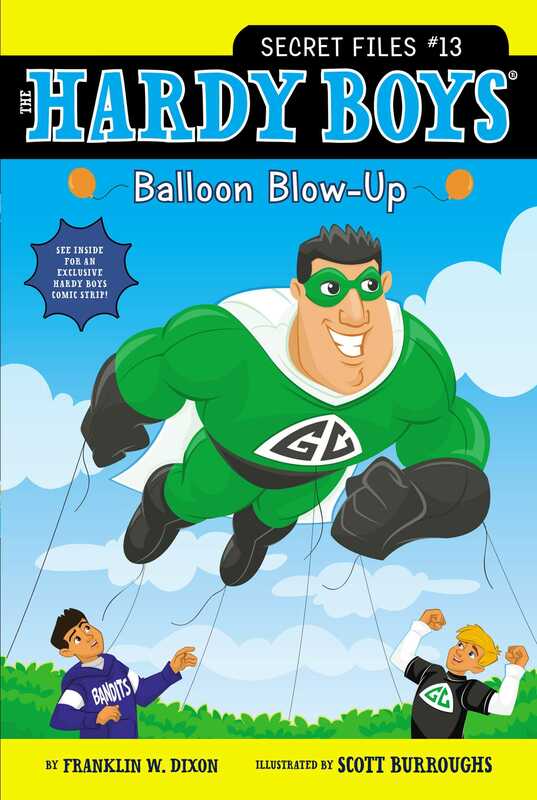 And thanks to a contest, the Hardy boys get to be two of the handlers for the new Green Crawler balloon in the annual Fall Festival parade in Bayport! Can the brothers figure out who tried to ground the Green Crawler? Or will Joe and Frank be watching the parade from the sidelines this year?